Being the wife of a alcoholic husband can cause severe psychological problems for any wife, especially if the couple have children. Apart from the financial cost involved, there are always chances of abuse and violence by the drunkard husband. This paranormal remedy is cost effective and simple and easy to practice and any distressed wife can practice it by following the procedure given below. 1] The wife should procure or purchase a few drops of the sweat of a horse from a Ghodewala or the owner of a horse. 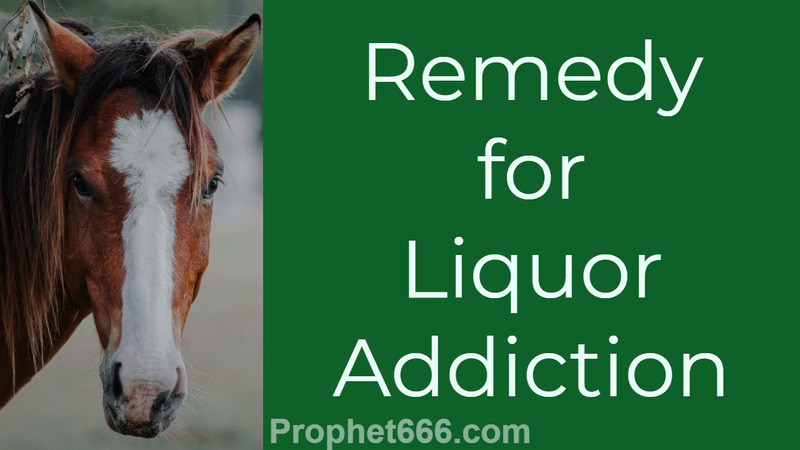 2] The sweat of the horse should be kept in a small glass bottle and kept on a wooden board and Black Colored Dhoop should lit and a small prayer should be made to both Shani Dev and Rahu Dev for removing the liquor addiction from the drunkard husband. 3] The wife should also make a “Sankalp” or Pledge to do something in return, when the husband is freed from the liquor addiction. It can be any Sankalp, depending upon the financial resources available to the wife, for example- donating some money or clothes or food to needy persons. 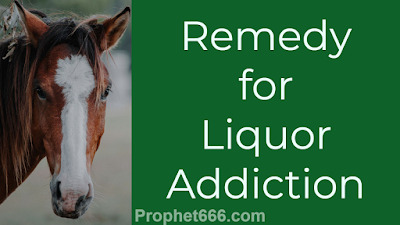 4] Then, one day, the wife has to request the husband to drink his liquor at home and secretly and without the knowledge of the drunkard husband mix some of the sweat of the horse with the liquor, which is being drunk by the husband. As per the Tantra, this will remove the liquor addiction from the husband. Then, the wife should fulfill the “Sankalp” made by her for getting success in this Upay.